This should be a ‘must visit’ for anyone visiting Sherwood Forest. Famous for its ‘open fields’, Laxton has the only surviving example in Europe of the mediaeval system of agriculture where the three or four ‘Fields’ of the Manor where split up into narrow strips worked by different villagers. There is a very informative Laxton website including walks around the village and fields. There is good website for Laxton Castle. 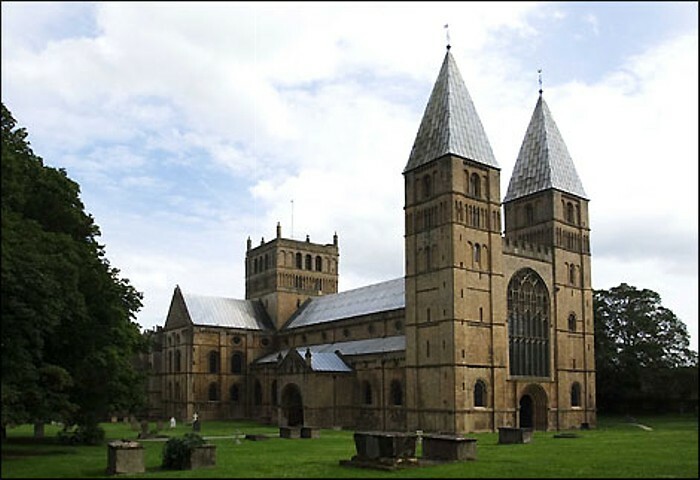 Southwell is well worth a visit, you can walk or ride down the Southwell Trail from Bilsthorpe or Farnsfield and spend a day exploring this very attractive small town with a lovely atmosphere. Burbage (green), visiting the Minster and the Workhouse Museum on the way. Southwell Town Council’s website has Heritage Trails with ‘A Day in Southwell‘ leaflet. The history of the Minster can be found on the Minster’s website. The National Trust have a website for Southwell Workhouse. The southern edge of Sherwood Forest, in medieval times Nottingham Castle was the main administrative centre for both Nottinghamshire and Derbyshire with places such as Bolsover Castle and Laxton at various times being local centres. 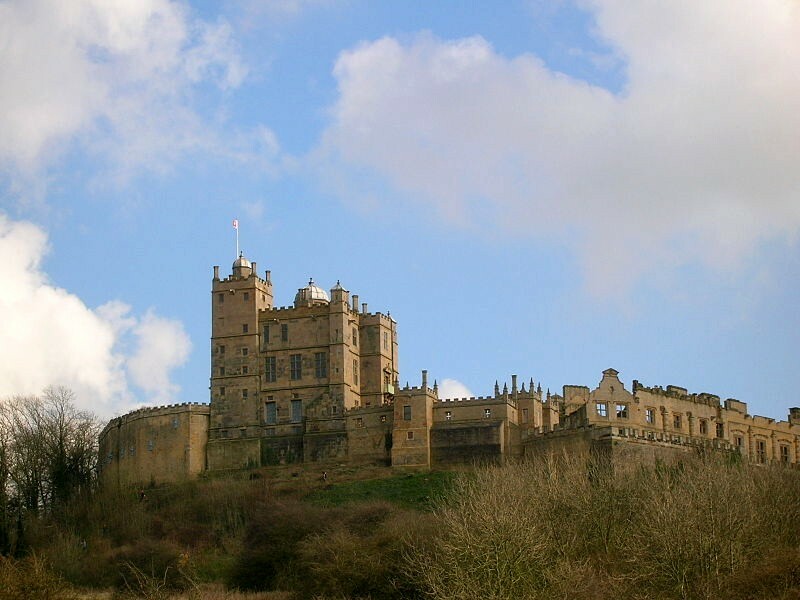 Bolsover Castle on it’s high escarpment. This castle really does deserve to be better known and visited. Like Laxton it once served as an administrative centre for the northern part of Sherwood and appears on the circa 1400 Sherwood Forest map held at Belvoir Castle . The English Heritage website gives more information about visiting.